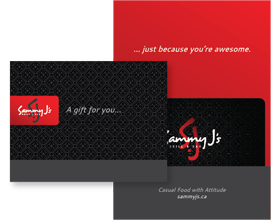 For special events & catering email info@sammyjs.ca or for regular bookings please contact your nearest location. We appreciate all feedback. Feel free to send us feedback using our feedback form.